Today I’m featuring the Invicta 8926. 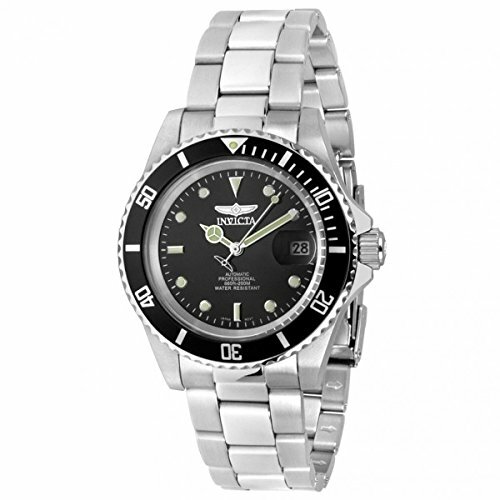 You may also like my top 21 best selling Invicta Watches for men. I’ve slowly grown fond of the Invicta range. When I first heard of them I was a bit unsure. As with any brand when you first hear of them I guess. A little research showed that the “Invicta Watch Company” was founded by Raphael Picard in 1837 in Switzerland. It’s nice to know also that the president of the Invicta watch group is actually a third generation watchmaker himself. Anyway, enough of the history lesson. You’re here to hear about the Invicta 8926. Let’s get on with the Invicta 8926 review. This watch is available on Amazon. Firstly lets take a look at the specifications and watch features. The dial is made of a mineral glass which protects the watches chronograph display. The display also features a date indicator with a magnified window. The watch also features luminescent hands which will make it easier to read in the dark. Sizing. The case has a diameter of 40mm whilst the width of the watch band is 20mm. 40mm is just slightly larger than your standard men’s watch at 38mm. 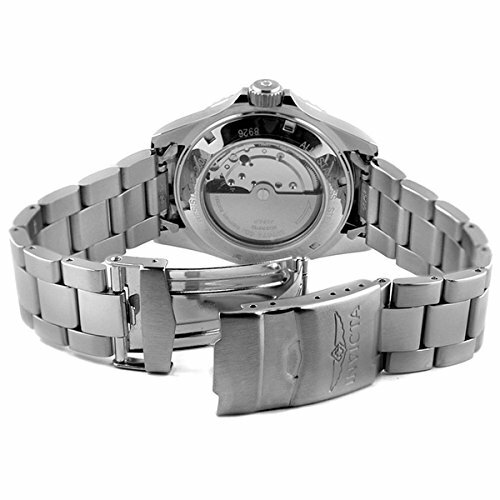 The watch strap is a standard fold over clasp with a fold over safety as seen in one of the images below. The Invicta 8926 has a 20 bar water pressure resistance measurement which is great. Click here to get a full list of features and specifications. The Invicta 8926 is a watch I’ve grown to admire. Well to start off, any watch with an exhibition back is going to peak my interest. I love these on watches, getting to see all the inner workings etc. Basically, it’s got a submariner style going for it. Which is nice for those people who can’t quite afford the Rolex (Me included). Also being an automatic watch, there is no need for battery changing. Some people aren’t a fan of those magnifiers on the date mark. I’ll admit I’m normally quite sceptical of these and wouldn’t normally get one. However I do believe it works well in this design. Overall when you consider this is one of those watches under £100. It’s a bargain. Invicta do make some quality watches so do check out my top Invicta watches. his watch is currently available through Amazon. You can purchase it from Amazon, and find out more information by clicking here. Hope you enjoyed my Invicta 8926 review. If you need any advice please do feel free to get in touch in the comments below, or use the contact us page. Ultimate Watch Gift Guide Valentines For Him. Buy Your Man The Perfect Watch. 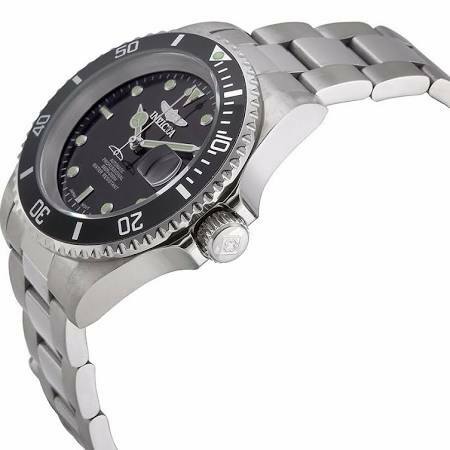 I found your Invicta Pro Diver 8926 review to be nicely detailed. I would have liked to have seen more pictures? Maybe you could add some in soon?